There is a <b>dramatic</b> difference between local tree service companies. 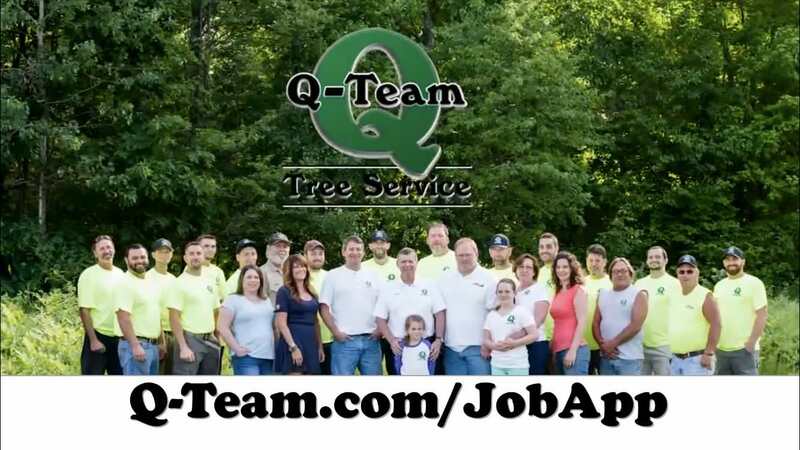 Q-Team Tree Service has been setting the standard in quality, integrity, and professionalism in the tree service industry in Oxford for over 30 years. We take pride in our <a href="http://q-team.com/testimonials/">customers testimonials</a> and our <a href="https://www.bbb.org/boston/business-reviews/tree-service/q-team-inc-in-naples-me-71508">A+ rating with the BBB</a>. When you contact Q-Team, you will often be received by a live person (usually <a title="Meet the Team" href="http://www.q-team.com/employees/">Jan)</a> and your tree work will be quickly &amp; honestly evaluated and <a href="http://www.q-team.com/wp-admin/www.q-team.com/cheaper-is-better-right/">estimated</a> by an experienced, certified Maine Arborist (typically <a title="Meet the Team" href="http://www.q-team.com/employees/">Adam or Aaron</a>). A well trained, well equipped, professional <a title="Meet the Team" href="http://www.q-team.com/employees/">crew</a> will perform the work, no "under-the-table" workers. You will be fully protected by our insurance coverage (<a title="Insurance Certificate" href="http://www.q-team.com/wp-content/uploads/2015/04/2015-2016-Cert.pdf">general-liability policy</a> in the unlikely event of excessive property damage, and by our <a title="Workmen's Comp?" href="http://www.q-team.com/fully-insured/">workman's compensation insurance</a> to protect you from liability for injured workers), your wood waste will be recycled (not dumped on someone else's property without permission), all shore land zoning laws will be adhered to and your property (and your neighbor's property) will be respected. A customer-service representative (<a title="Meet the Team" href="http://www.q-team.com/employees/">Adam, Aaron, Robert or Jan</a>) will be available to discuss the work, if necessary. If there is a problem later on, someone will still be available to discuss it. If you get a <a title="Cheaper is better... Right?" href="http://www.q-team.com/cheaper-is-better-right-2/">lower estimate</a> from another company or individual, there is probably a good reason for the <a title="Cheaper is better.. right?" href="http://www.q-team.com/cheaper-is-better-right/">difference</a>. Please remember, the disappointment of low quality lingers long after the sweetness of <a title="Cheaper is better, right?" href="http://www.q-team.com/cheaper-is-better-right-2/">low price</a> has been forgotten.